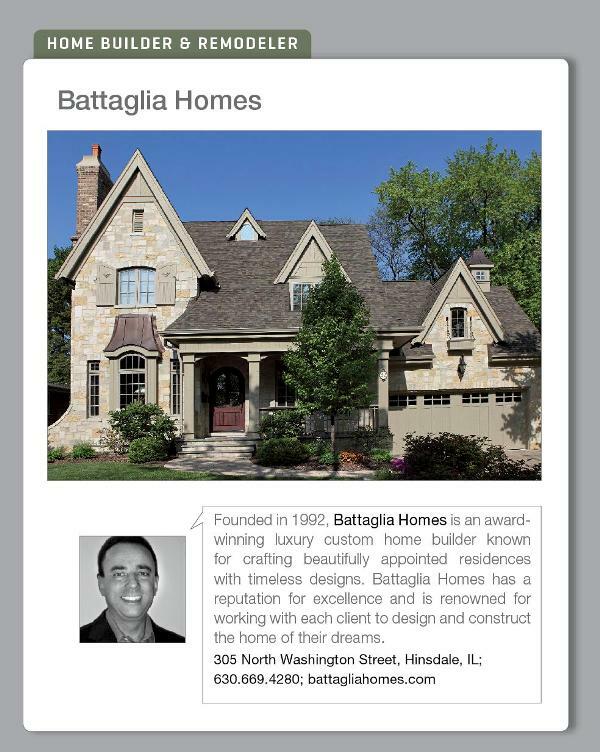 Battaglia Homes proudly features one of its beautifully crafted custom built homes in the Spring 2013 issue of LUXE magazine. Located in Hinsdale IL this home boasts attractive stone, brick, cedar and stucco exterior with a brick paver driveway and covered front porch with bluestone flooring. Interior features include wainscoting in the dining room and study, coffered ceiling in the family room, three piece crown molding throughout the first floor, and stunning custom cabinets in the kitchen and bathrooms with american cherry hardwood floors throughout. For more information about building your custom dream home, contact the home building and renovations experts at Battaglia Homes today at 630-669-4280 or email us at info@battagliahomes.com. We’d love to hear from you – leave your comments below.